Over a 3-year period of travelling, deaths, and births, Nealand wrote and recorded the music for KindHumanKind as a solo project. This work now expands into an intimate and theatrical extension under the unique design and direction of Goat in the Road, presented by the Contemporary Arts Center New Orleans. 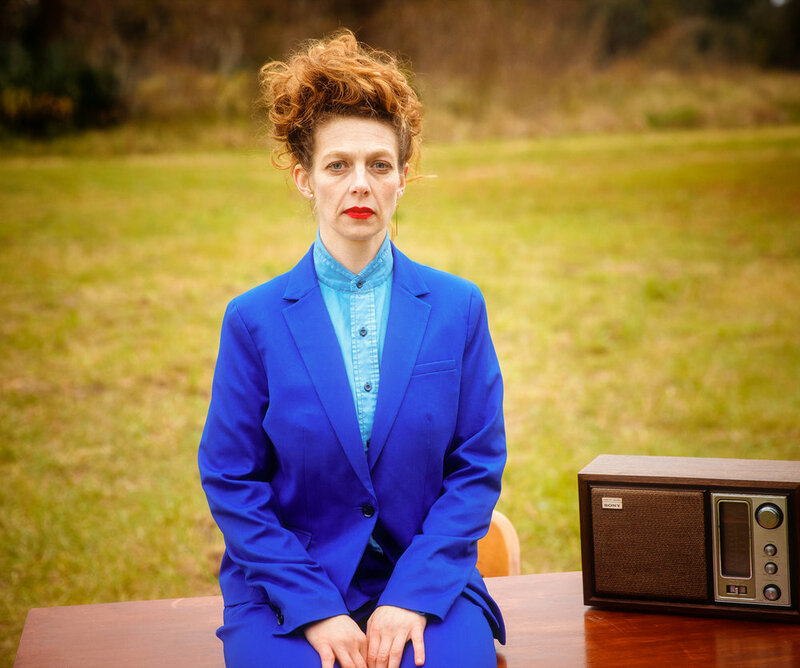 KindHumanKind will present a visual world that showcases Ms. Nealand’s unique talents as a storyteller and musician, and brings to life her virtuosic, heartbreaking musical world. The performance will feature Ms. Nealand, as well as New Orleans musicians free feral (Leyla McCalla Band, Sing River Shout: a ritual in reparations), Tiffany Lamson (The Givers), and Alexis Marceaux (Sweet Crude). KindHumanKind is the first collaboration between Ms. Nealand and Goat in the Road, after years of friendship and support within the Bywater arts community. Aurora Nealand is a sound artist and multi-instrumentalist (saxophones, accordion, voice) based in New Orleans, LA. Nealand has become a prominent force in the New Orleans music scene since she first arrived in 2004 and is the founder and leader of the non-traditional Traditional Jazz band, The Royal Roses, which draws its approach to collective improvisation from both the New Orleans Jazz traditions, as well as the AACM, and collage-sound art. Nealand's other musical projects include The Monocle, Redrawblak Trio, and the Instigation Orchestra. She is an avid devotee of the musical mystery alter-ego band, Rory Danger & the Danger Dangers. Nealand regularly works as a musical facilitator with Found Sound Nation (under Bang on a Can) -an organization, which facilitates international musical collaboration and sonic diplomacy, and she has taught at the Walden School for Young Composers. Nealand was voted "Best Female Performer” (2016 Gambit awards), and "Best Traditional Jazz Band (The Royal Roses)" in the 2015 & 2017 Big Easy Awards. She is the co-founder of SONO (Sound Observatory New Orleans), which facilitates workshops of new music in the New Orleans region. She has been awarded residencies at the New Orleans Contemporary Arts Center, the MacDowell Colony, and the Atlantic Center for the Arts. In spring 2018, she was a co-curator of and performer in Southern Sonic at the CAC. KindHumanKind is supported by a grant from the Threadhead Cultural Foundation, a Community Partnership grant from the Jazz & Heritage Foundation, as well as a grant from the Aaron Copland Fund for Music.